Home Alexa Blogger SEO Seo Wordpress SEO How To Make 7000+ Backlinks For Free? 2013 Update! As it comes to SEO. 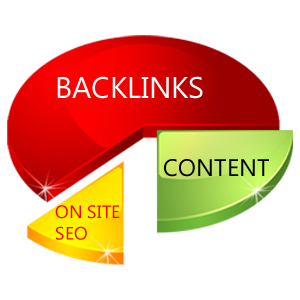 Backlinks are the most important part that we need the most for off-page SEO. If you are looking for some quality backlinks and want them free of cost? You are at the right place. Here we are going to provide you easy ways to get 7000+ backlinks. Details are given below! IMTalk Website Submitter claims to provide you 3000+ Backlinks for your website/blog just on one click. It has an automated service that allows you to sit back and relax until it creates the list of backlinks and ping them. Not all backlinks have High PR, but still they helps you to get your website indexed and improvement in rankings. All you need is to submit website URL and some basic information to get started. Through this, your website can get up to free 240 backlinks for free. Don't lose it! Its a nice one as well. Just add your website or blog and get 100+ backlinks through this site for free. Try it! Through this, you can get up to 323 backlinks for your website easily. Just add your site and you're done. I have personally used this tool and its nice. Its an free automated service that can build a lot of backlinks for you. As far as i know, It can provide you 100+ backlinks easily, just at the submission of your website. We are trying our best to provide you best SEO tips. Stay tuned! Keep visiting IncomeFigure! How To Bring Traffic Back To Your Blog?